That’s not it; they get bigger… Check out our 4”x6” and 6”x8” photo strips. Both have 4 bigger photos that can be arranged any way you like! These also include the customizable logo. 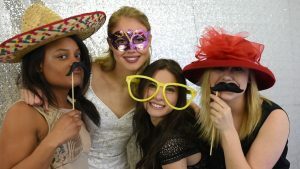 Add frames to any photo booth rental package and give your guest a personalized gift from your event! In additional to our booth rental packages, we offer a high resolution 23” external monitor that displays a slide show of every picture taken. Your guests can view everyone’s picture, and share the laughter and fun they had in the photo booth. It’s Plain… It’s Sparkly…. It’s Sequence! 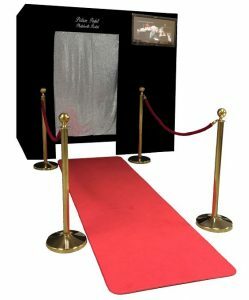 Customize your Open-Air and Hollywood Runway photo booth rental with various backgrounds that blend nicely with any event. You can check out all the different colors, styles, and types on our website under add-on’s tab. With our Slow Motion Photo Booth! This booth offers a whole new level of excitement to your party! 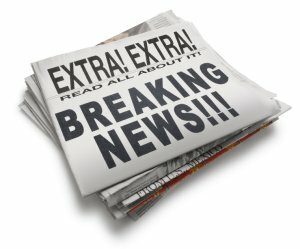 You and your friends will take a 12 second video that our photo booth software will slow down, creating some serious laughs! Make it rain with confetti or blow us a raspberry. Our Slow Motion Booth will catch every exciting moment at your event! Our mobile flipbook station takes the pencil drawn stick figures and digitizes them, with you as the main character! You and your guests will star in a 7-second video, then watch as we print, cut, and staple a flipbook replicating your memory, and creating personalized party favors for each guest.